My son is in fifth grade and is just months shy away from entering the middle school. He has learned a lot of things at school – geography, history, biology, mathematics, sports and many more. But there is one vital thing that every kid must learn and be expert in that our school curriculum is missing – financial literacy. With this shortcoming, it is up to us parents to teach and hone the money management skills of our kids to help them have a stable financial state in the future. Whether we like it or not, we teach money management to our children. They observe us and unconsciously adopt the way we run our finances at home. So I guess the best thing to do is to be a good example to them and help them become more financially literate. Here are some effective ways to help us teach money management to our elementary and middle school kids. 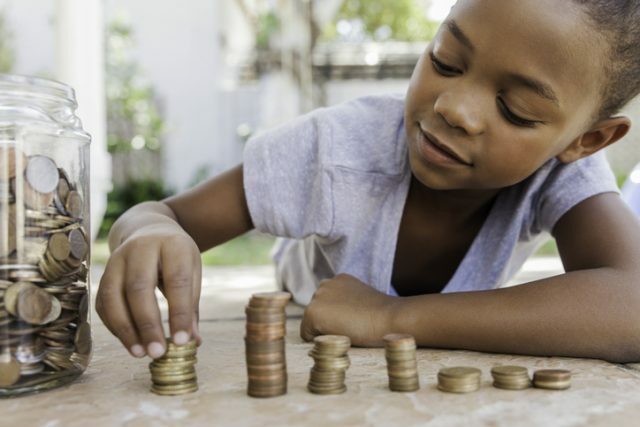 Children age 8 to 12 are starting to understand the importance of money to our daily lives. Last week, just out of nowhere my son asked me how much are we earning. And when I answered him, he seemed confused as to why we are so strict with our weekly expenses. At that moment, I realized that it is about time that we slowly get him involved in our family finances so he better understand why are we cutting on unnecessary expenses. To help them learn more about money management, the best thing to do is to integrate finances into their day to day life. For children 8 to 10, we can hone their decision making when it comes to money matters by starting small. Comparison grocery shopping is one of the best ways to try. While doing your weekly or monthly grocery shopping, have your kid compare the prices of two same products and then explore together the possible reasons why the two items have different prices. For those with kids age 10 to 12, have them see you while you are doing the family budget. Tell your children the total amount of money that you have for the month and how much bills you need to settle. This way, your kids will better understand how your monthly expenses pile up as well as learn the things that your family prioritizes. The comparisons method is another effective way that I often use to help my son have better judgment when it comes to money matters. There was this one time that he left and lost his $75 basketball shoes at school. I took this opportunity to help him realize the value of what he has lost. I had a quick talk with him at home and told him that the shoes he carelessly left at school is equivalent to three hours of my working time at the office. Do not increase his allowance, but instead give him incentives. There will be times when our kids will be asking for a raise in allowance. Opportunities like this give us a chance to better instill to their young minds that money is not just something we ask, but something that we work for. Instead of giving in to their request, what we can do is to give them “job offers” at home. For instance, you can pay your child a dollar whenever he cleans the dirty dishes or launders his own clothes. Or you can have a deal with him to give the extra money that he is asking for after he regularly gets the trash out of the house for a month. This way, he will learn that money does not just come in handy. It takes efforts to earn it. Let him learn on his own. Sometimes we need to back off and let them learn money management the hard way. If he wants to spend all of his allowances or savings for a new expensive toy, so be it. By doing this, he will realize that there are much more important things that he could instead buy for his money. He will also learn that money is not infinite and that he needs to save up again to get the other stuff that he likes.